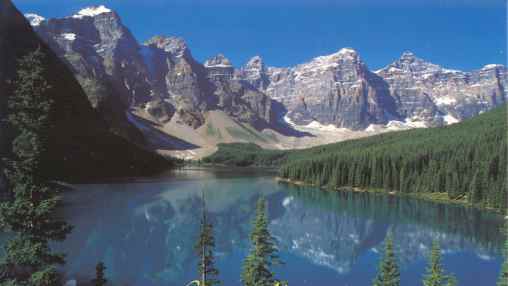 Memorable Banff Pictures - Set in a beautiful Canadian Rockies, with snow-capped mountain reflected in emerald lake. 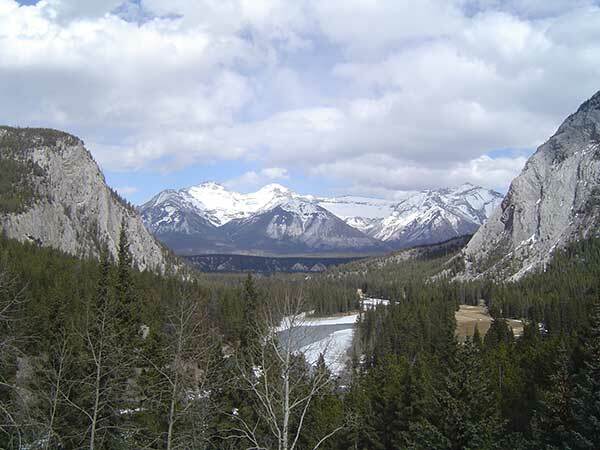 Banff is the most photogenic Canadian national park. 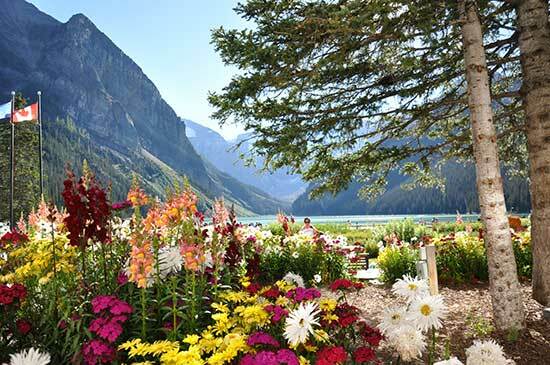 Spectacular Banff photos allow fleeting moments to last forever. 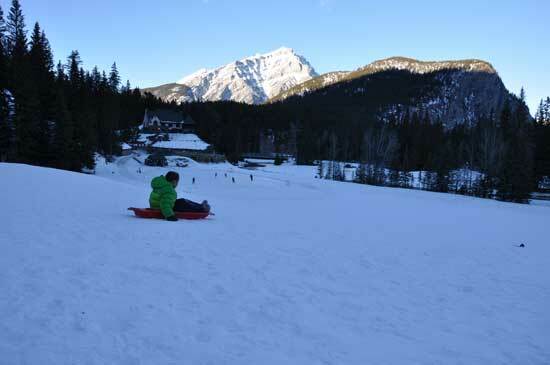 How sweet to have those unforgettable vacation memories captured forever in Banff and Lake Louise photos. 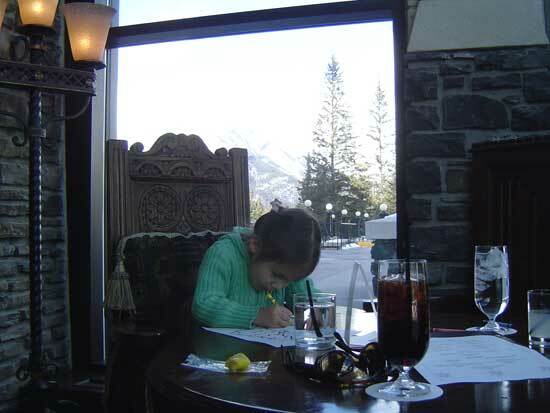 Looking back on our Banff photo albums, there were so many special moments that we would like to go back just to live in that moment again and again! 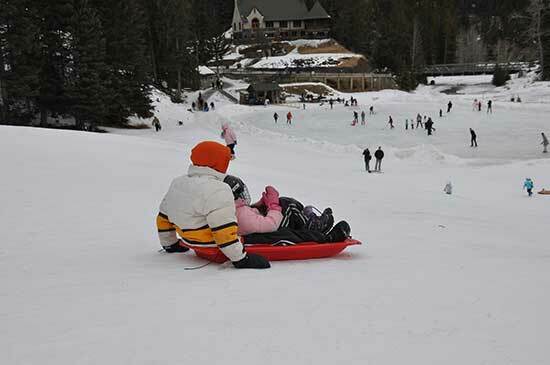 One of our favorite memories is when we brought kids to skate and toboggan at Spray Meadows Hill and Ice Rink - behind of Banff Springs Hotel. 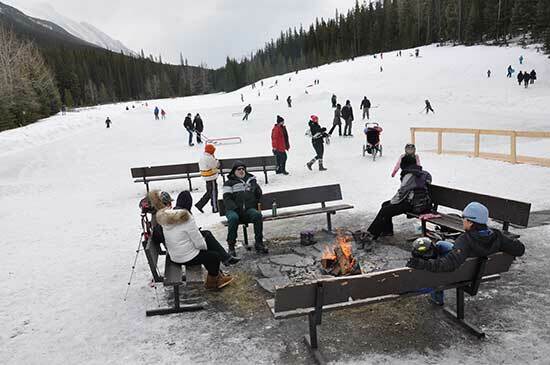 The ice skating rink and toboggan hill are next to each other, you can do either alternatively and won’t feel bored. 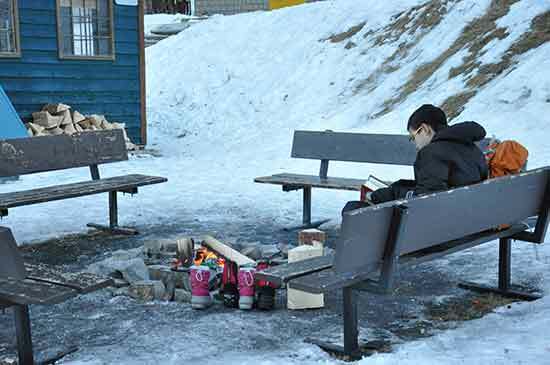 When I do not feel do anything, just grab a hot chocolate from the pub - downstairs of restaurant Waldhaus nearby and sit by the fire pit next to the ice ring and watch my son toboggan and my daughter skating at the same time, the heat wave from the fire make me cozy. 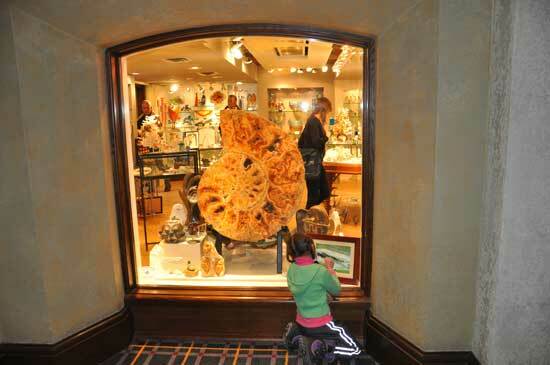 At the end, we hiked up to Banff Springs hotel by stairs, wondered around in the hotel, and stopped in my favorite Gemstone & Fossil gallery shop where I enjoy to browse my best favorite Canadian Ammolite. A lot of details in the hotel, if you have the time to look. It's spectacular. Finally, we went to the Rundle Lounge in the hotel for meal. The view from the rear desk or lounge are best. Of course, we did not miss using camera. What I eat in the lounge? Normally, I am not interested in eating burgers at any place. He told me its taste is very different from any other restaurant he has been. I did not believe until I tried one day. Since then, I order the burger almost every time we come here. 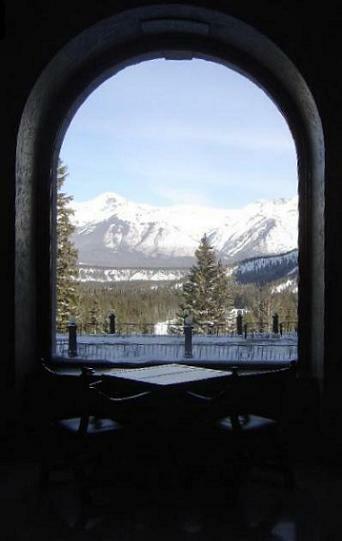 More favorite Banff pictures and memories we love to share with you. 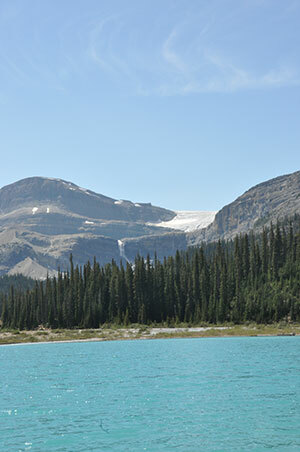 We love to hang around Lake Louise and Chateau year around. Why? Click here that we share our photos and special memories with you. 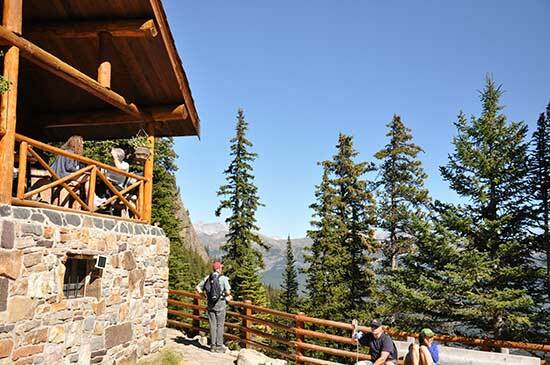 Capturing these memories and views takes a "bit" more work than snapping a shot at Lake Louise. As you'll see, though, it is worth the effort! Click here where we share our story and photo with you. 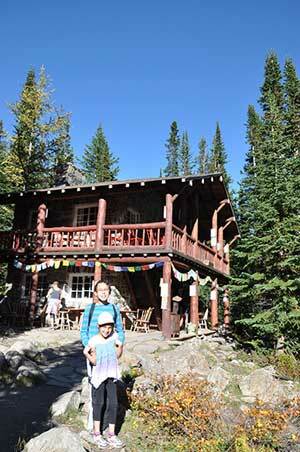 The hike to the Lake Agnes Tea House & Beehives is high on the list of things to do in Lake Louise. Click here where we share our photos and experience with you. Enough about our magic memories and photos! Click the link above to share your own special memories.